We make all of our cookie dough in our commercial bakery in Lakewood, CO. All of our cookie dough is made from scratch in small batch recipes. We use only high quality natural ingredients, and there are no preservatives in our cookies or treats. Honestly, we’ll be shocked if they don’t all get eaten right away, but in the rare event that they don’t…. 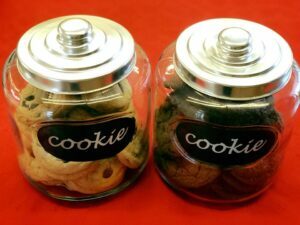 Our cookies will stay fresh for up to 3-7 days when kept in a tightly sealed container. Because our cookies and treats do not contain any preservatives, we do recommend eating them right away while they are at their freshest! Don’t let them sit too long! If you wish, you can freeze them for up to around six months or so – just make sure they are sealed air-tight. You can thaw the cookies out within 10-15 minutes at room temperature, or you can throw them (placing recommended) in the microwave for 10-15 seconds and they’ll be delicious! It is not recommended to refrigerate our cookies, as they tend to dry out and crumble. What flavors of cookies do you have? Please go to here for a list of our cookies. Scroll down on the page to our cookie carousel! Our Monster Cookie is gluten-free! In an effort to reduce the risk of cross-contamination, our GF Monster cookie dough is produced on a separate day than other variations. All surfaces are sanitized prior to production. Our GF Monster Cookies are individually wrapped at time of production. Despite all our precautions, we cannot 100% guarantee that our GF Monster cookies have not come in contact with gluten. Our cookies that contain nuts are: our Chocolate Chip Walnut, White Chocolate Macadamia Nut, Classic Peanut Butter, and Peanut Butter with Reese’s Chunk. Please note we cannot guarantee that any of our products are free from allergens, including dairy, eggs, tree nuts, wheat and others, as we use common equipment to store and prepare them. What do I need to know to place an order for the holidays? Once the weather starts getting a bit nippy, many of our customers get into holiday mode. The Colorado Cookie Company gift boxes or baskets make a great holiday gift to give to family, friends, co-workers, clients, or anyone else that you can think of. Place your order online. For large orders containing more than 10 gifts, please give us at least two weeks notice during the holiday season. The more notice we have, the better we can accommodate you in terms of when you’d like to have your gifts delivered. Some of our delivery dates are filled up by late November. Please make sure that the delivery information you give us is accurate. We cannot be held responsible for gifts not delivered due to incorrect addresses and contact information. Double check that your recipients aren’t away on holidays or that businesses aren’t closing early on your requested delivery date. If you have any further questions about placing a hioliday order, please contact the shop at (303) 238-5590. Or you can e-mail us at info@thecoloradocookiecompany.com. In addition to our gift boxes and baskets, we also have individually wrapped cookies and cookies in bulk. Individually wrapped cookies can come sealed with a label on top, or they can be tied using ribbon with an attached gift tag. We can personalize your order with a custom label or gift tag as well—please contact the shop for more details and to place your order. For orders with more than 10 gifts, or that have multiple delivery addresses, please contact our shop by phone or email. Your order request will be reviewed as soon as possible to ensure all we have all the necessary information for to arrange the pickup or delivery. We recommend you place any large orders at least 1-2 weeks ahead of the delivery or pickup date. Please make sure that all delivery information and phone numbers are accurate. If we are experiencing high-volume periods, such as Christmas time and Valentine’s Day, we may contact you to verify or reschedule your order. If you’d like help with your order, we’d be happy to help and encourage you to contact us. For online orders, an order confirmation email is sent out automatically after your order is successfully placed. This confirmation also doubles as the receipt. Please make sure you enter your email address correctly during checkout! If you have checked your email and cannot find the order confirmation, please feel free to call us at (303)238-5590 to see if your order went through or request a receipt. For orders phoned in to our store, please contact the store you ordered with directly for any order confirmations and receipts. Absolutely! We encourage you to visit our shop as often as you can for cookies, brownies, coffee or to chat up our wonderful staff! We recommend you order online or call (303) 238-5590 for deliveries to ensure we have all the correct information for a successful delivery. If your order has not been sent out yet, absolutely! For web orders, please contact the shop at (303) 238-5590 with your order number and we can make the change for you. Can I order cookies for pickup from your location? Yes you can! Our shop now offers ordering online with in-store pickup, accessible here. Unfortunately our online ordering system at this time cannot accommodate multiple shipping addresses. But you can always contact our shop and talk to one of our staff members in order to accommodate multiple gifts to multiple addresses. Please note that depending on the size of your online order, we may need more time to process it. We currently do not provide delivery tracking on our website. 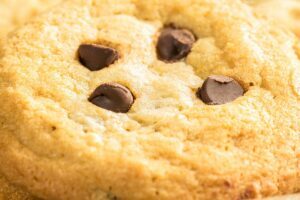 If your request is related to delivery, pickup, cookie flavors or packaging, please write it in the Special Instructions box within each product page, before adding to your cart. If we cannot accommodate your request or if there would be additional charges for your request, we will contact you to let you know. For that extra-important gift, consider sending it out a day earlier. We especially recommend this for Friday and Saturday deliveries because our delivery people do not deliver on Sunday or holidays, meaning that a delay would push delivery of your gift to the following Monday. Please make sure that we have your daytime contact information should we need to contact you and a contact number for the recipient in case of any delivery issues. Our local delivery costs are predetermined based on proximity to our shop. All online orders provide the ability to calculate delivery costs ahead of final purchase. If our delivery person is unable to deliver a gift, or they decide that it is not secure to leave the gift at the door, the gift will be returned to our shop. If we do not have sufficient delivery instructions or if the recipient is not available to receive the gift, you will be responsible for any additional charges due to multiple delivery attempts. Our typical delivery window is 10AM to 5PM Monday through Staurday. If you would like delivery during a specific time frame, you may write your request in “Special Instructions” (product ordering page) and we will do our best to accommodate your request.